Intratec AB-10 Pistol, 9mm, TONS of Mags, Like New! Description: This listing is an Intratec AB-10 pistol in amazingly "like new" condition. It is chambered in 9mm. This pistol comes with SIX! 50 round magazines, three 30 round magazines, a double mag pouch, and the factory hard case. 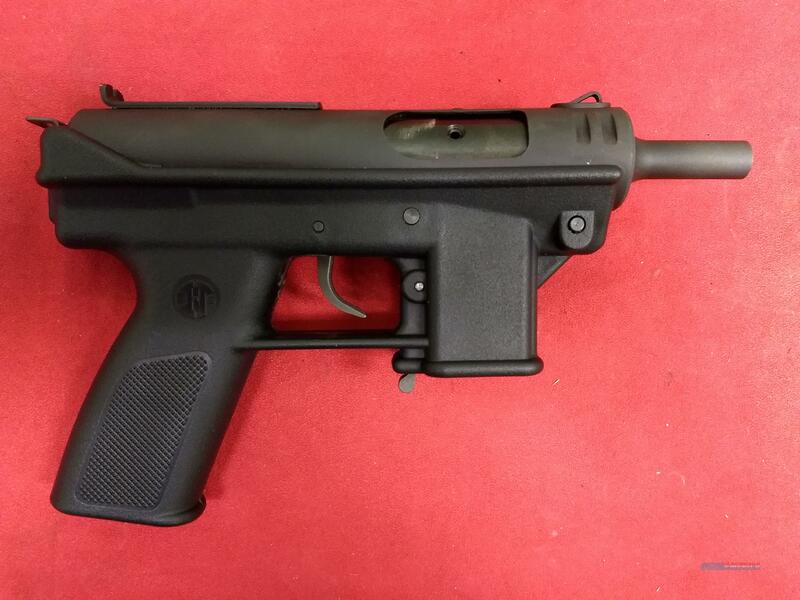 This will be an incredibly fun gun for someone looking for something with the ergonomics of a submachine pistol, but without the cost of a full-auto firearm. Be careful though, this slick little pistol will still have a voracious appetite for 9mm inspired fun! If you have any further questions, or wish to purchase the item please call between 10:00 AM - 6:00 PM Mountain Time, Mon-Sat. WE DO NOT USE THE "Buy It" feature, you must call us to actually secure/purchase an item. Warranty: Previously owned (used) firearms have a 3 Day Inspection at Your Dealer Location, there is a 25% restocking fee on all returned used guns. There is a 40% restocking fee on all returned NFA items. If you fill out the 4473 form and take the firearm home, the firearm is yours. All NEW firearms are warrantied by the factory. We reserve the right to correct Pricing, Typographical, and Photographic and/or Descriptive errors.